A staggering 70 per cent of medical errors can be attributed to ineffective teamwork. 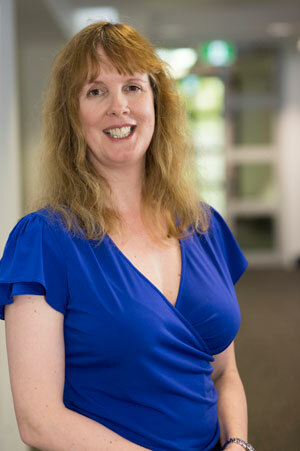 Internationally-renowned organisational behaviour expert Associate Professor Rebecca Mitchell controversially believes the cure lies in harnessing tension and encouraging arguments within multidisciplinary healthcare teams. According to the psychology-trained academic, the key to building a new generation of interprofessional health care teams is in leaders that encourage different professions to challenge, debate and justify their perspective. Researching team dynamics, leadership and social identity within high-stress hospital environments, Prof Mitchell said "the most successful and innovative teams are the ones that have a leadership that creates a healthy balance between negative and positive emotions." "When you have different professions in a room, you're always going to have a conflict of opinion. If a team just skips around in a circle saying 'we are so happy', we're a bit suspicious," Prof Mitchell adds. "If you have a team that focuses only on positive then they just agree with each other and look for points that they share and not points of difference," she said. "They tend not to disagree and this can lead to conformity and a risk that the team will use only knowledge that members share, rather than their unique expertise. But if negative emotion is engendered in the team it creates much better outcomes because it forces people to justify their thoughts and to challenge other people and ultimately end up with a better solution. "Many people would think that debate is useful in teams, but our research goes further than this - what is interesting is that teams can benefit from quite negative moods - our research suggests that tension, hostility and distress were all associated with team innovation. "Members start to look for problems in their reasoning and seek evidence to support ideas, which leads to better decisions. But this only occurs when teams have an underlying dynamic of cooperation." In an era where positive team building is the main focus of leaders, Prof Mitchell's work is ground-breaking in proving that negative hostility can actually encourage people to express their professional opinions more and is one of the best ways to improve team performance, as well as reduce errors and costs. The World Health Organisation has long identified that multidisciplinary teams are more effective. Prof Mitchell's work is gaining international attention as Canada, the United Kingdom, Ireland and the United States prioritise a systematic change towards multi-disciplinary teams in their healthcare systems. "When multidisciplinary teams work together on a problem or difficult patient you get much better outcomes than if information is being exchanged in a series of separate, ad-hoc meetings." How to manage teams that contain a number of different professionals of different stature is the tricky part with the greatest challenge being friction and breakdown in communication, but Prof Mitchell said her research has unearthed a number of actions that can help. In 2010, in collaboration with Hunter New England Local Health District (HNELHD) and researchers from the University of New England, Royal College of Surgeons (Ireland) and Hong Kong Polytechnic University, Prof Mitchell surveyed over 600 health care professionals working together across 150 teams. The surveys by Mitchell showed that a strong attachment to professional identity and threat formed the basis of a number of issues. "Professional identification is really important for different roles in the healthcare system – from the doctors to nurses to speech pathologists and pharmacists. Each person enters into study and comes out with a specialised expertise and basis of their work," Prof Mitchell said. "They are, of course, quite protective of their professions. That professional identity they form dictates their beliefs, boundaries and roles are in their work. "Our research shows that attachment to your profession doesn't necessarily lead to greater participation in a team perhaps because individuals may just sit back and say this is my way and just keep to themselves. "However, if you create a positive team dynamic initially, so there is a high level of respect, and then you introduce threat to individual professional identity, they will come out and really push for their message and try and find a way for their positions to fit into what the team wants. "This is where you end up with better outcomes that utilise the different individual's expertise rather than an over-reliance on shared knowledge." "This approach, of course, requires a degree of caution and needs to be supported by a positive team dynamic." Status, or perceived status, is another issue that is ingrained in healthcare and can sometimes have a crippling effect on teamwork. "Healthcare is a very innovative industry but status can act as a barrier, because professionals with a lower status tend not to speak up and if they are a higher status they tend to say 'this is going to happen this way' and are not as open to listening to others," Prof Mitchell said. "The way to overcome this is if you have a leader who can create stronger team identification in addition to individual professional identification." Prof Mitchell has recently written about a successful innovation in Hunter New England Local Health District where a multidisciplinary team for tracheostomy ended up saving over one million dollars. A professional member of the European Association of Work and Organisational Psychology, as well as the US Society for Industrial and Organizational Psychology, Prof Mitchell's expertise is also sought after as a consultant, working with the Royal College of Surgeons in Ireland as a consultant. Mitchell is also collaborating with China's Nanjing Business School and Guangdong University of Foreign Studies and the University of NSW to explore new insights into the workings of multinational enterprises in China that will inform government policy makers and economists. When she is not observing medical teams, Prof Mitchell can be found in the wine regions of the nearby Hunter Valley as the Chair of the Wine Industry Research Collaborative, studying the business dynamics of regional wine clusters. The next step for Prof Mitchell is collaborating with colleagues in the UK and Thailand to see whether individualism or collectivism affecting team dynamics is a westernised construction. "We're searching for new models of care, new ways of approaching complex patients and the effectiveness of the team."